It is an honor and a privilege to represent the people of the 5th Middlesex district, including Malden, Melrose, Reading, Stoneham, Wakefield, and parts of Winchester, in the state Senate. I’m working hard every day to deliver results for our communities and to bring progressive change that lifts up working families. Thank you for visiting our campaign website where you can learn more about my background, positions on issues, district and legislative accomplishments, endorsements, and latest news. I welcome your input and feedback as well as any questions or concerns you may have.  Please contact our campaign anytime at 781-333-5392 or info@electjasonlewis.com. You can also meet with me at an upcoming District Office Hours. I welcome your involvement in my re-election campaign and appreciate your financial support. You can also follow me on Facebook or Twitter, and visit my State House website for further information. Paid for by The Committee to Elect Jason Lewis. John Warren, Treasurer.